This is the new 2018 Dacia Duster that will make its debut at next month’s IAA show in Frankfurt. If it looks like an evolution of the Duster we know, that’s wholly intentional on Renault’s part – the value for money SUV has found more than one million homes worldwide and is loved for what it is. 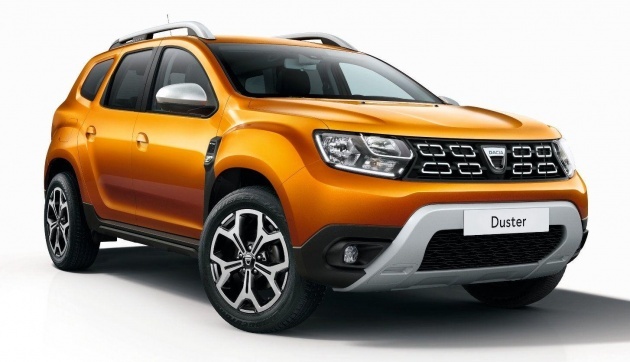 The Renault-owned brand says that in keeping with the Duster’s DNA, this new model combines robust, muscular styling with a “truly assertive personality” that is emphasised by a brand-new body colour, Atacama Orange. In front, the Duster gets a distinctive eight-port grille that extends to the headlights positioned at the car’s extreme corners – this gives it visual width. There’s a new lighting signature that includes LED daytime running lights divided into three sections. The huge satin-chrome-finish skid plate reinforces the Duster’s rugged image, and is scratch-resistant. On the flanks, the higher belt line adds to the impression of strength and safety. The windscreen has been brought forward by 100 mm compared with the current Duster and is more steeply raked, which makes the cabin longer. There are new aluminium roof bars, 17-inch wheels and prominent wheel arches. We’ve never seen the Duster’s unique “wing arch trim” anywhere before. 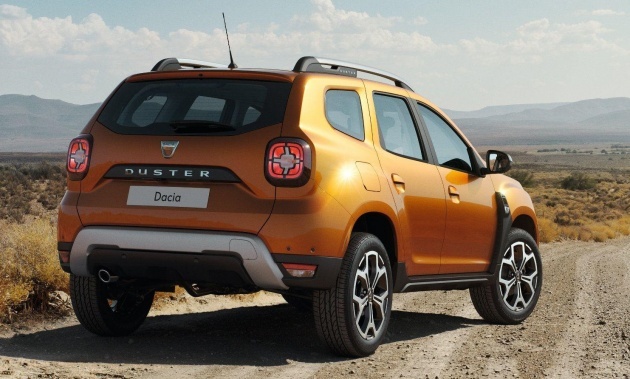 At the back, Dacia’s rear lighting signature – four red stacked squares – has been adapted for new Duster. Adding to the tough guy image is a wider satin-chrome-finish rear skid plate to match the one in the front. Dacia says that the new Duster also boasts improved comfort thanks to a “completely redesigned, quality-feel interior” and new equipment. No pics of the new interior yet, though.